I had the great opportunity to spend 30 years in the same elementary school library getting to shape it into a great place for students, parents and the neighborhood to having a great source of materials and goodwill. I go back to my childhood. First my mom was the librarian of my high school. When I was a little girl, the elementary school librarian was my reading tutor and good friend. My 4th grade teacher went back to college and got a library degree and became the elementary school librarian, so for one year she was half time in the class room and half in the library. 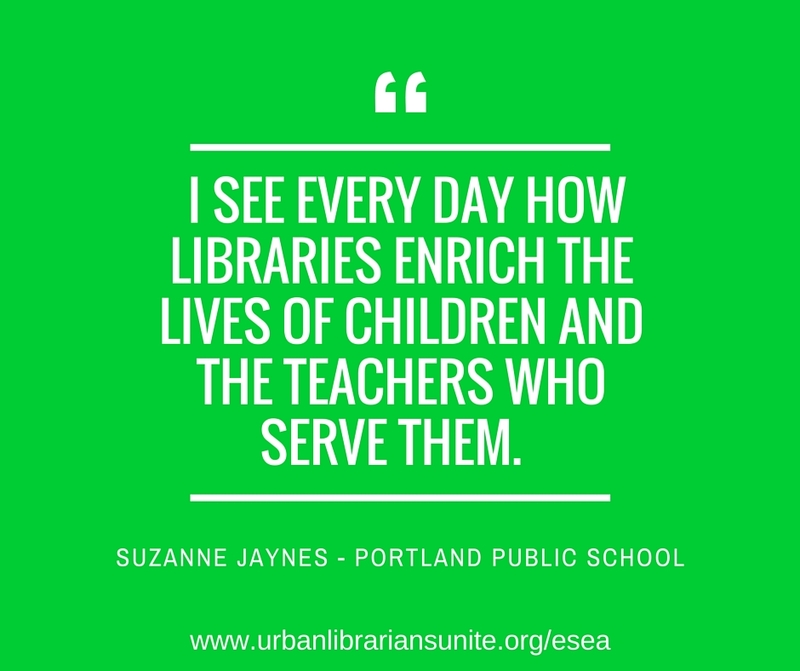 Since I retired and still substitute in the same district, I see every day how libraries enrich the lives of children and the teachers who serve them. When I substitute either in a classroom or the library, I see how children are impacted.